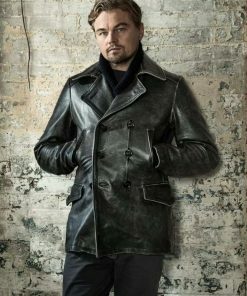 You are certain to look classy every day rocking the streets instantly looking badass by just throwing this awesome Leonardo Dicaprio Coat over a simple black tee and your rugged old school boots. This masterpiece is constructed from lambskin leather and features double breasted notched lapels and four external pockets. Inside of the jacket is fully lined. Purchased this awesome piece last week and arrived as per the committed time period. The jacket itself is pretty cool and was really surprised to learn that there are inner pockets as well. 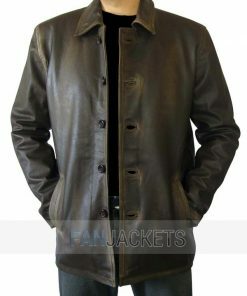 I would like to say it’s a contemporary choice for any man looking for a cool jacket with many storage options. I live in North Dakota and here, it is currently snowing. The jacket is quite good but still, I have to wear a vest or hoodie inside just to fight off the cold snow. Not bulky or tight, I would say rather a good fit and enough room for more clothes.